SHRIDEVI INSTITUTE OF MEDIAL SCIENCES & RESEARCH HOSPITAL, TUMAKURU. Workshop on“tOPV to bOPV SWITCH” and “IPV Introduction in Karnataka” Held on 30-Mar-2016, DHO Office Tumakuru. 	The SWITCH tOPV to bOPVis called the SWITCH and will be globally coordinated process. In India National SWITCH day will be on 25-Apr-2016, when bOPV will replace tOPV. All tOPV stocks will be completely withdrawn and destroyed as per the guidelines. 	Cold chain points / Primary Health Centres / Community Health Centres /Urban Health Centres will receive bOPV1 to 2 days before the SWITCH (22-Apr-2016). They will be given a vehicle to push-exchange tOPV with bOPV. 	District vaccines switch team consisting of notified health staff will be formed. 	IPV reduces risk of re-introduction of type 2 polio virus. 	IPV should be introduced in routine immunization around the time of tOPV to bOPV SWITCH. Two fractional doses of IPV produces high immunity base fot type 2 polio virus. 1. Two doses – 6 and 14 weeks. 2. INTRADERMALroute in right upper arm. 3. Each dose of 0.1ML using BCG Syringe. 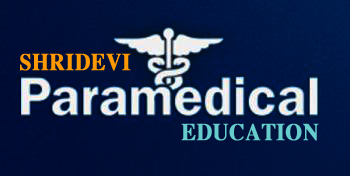 ROLE of Shridevi Institute of Medical Sciences and RH. 	Return all tOPV vials to stockists and Buy bOPV by 24-Apr-2016. 	Start usage of bOPV25-Apr-2016. 	Need of external monitors for validation phase two weeks after introduction of the programme.